Hamburg, Buenos Aires (renewablepress) - The Nordex Group plans to further improve its competitiveness in Argentina and shore up its growth path there over the long term. The company has now entered into an agreement with Fábrica Argentina de Aviones “Brig. San Martin“ S.A (FAdeA) with a view to setting up a local assembly line for turbines. The production facility for nacelles and hubs for the AW3000 turbine is to be established in Córdoba and start operation in the coming year. 48 AW132/3300 turbines for the recently announced orders from the electricity supplier AES Argentina Generación are already to be manufactured here. The assembly shop is designed for an annual capacity of up to 150 turbines of the 3 MW class, which equates to a potential output of 500 MW. 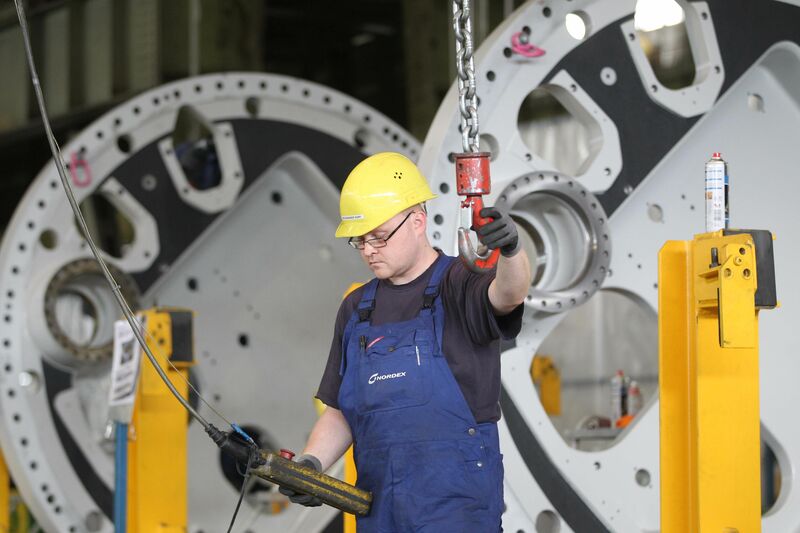 As the Nordex Group is also planning two local production plants for concrete towers in Argentina, the share of local integration of the turbines produced and installed locally by the Nordex Group will increase to up to 36 percent. The nacelles & hubs factory will employ up to 100 specialists, plus a further 200 employees in each of the two concrete tower plants. "To date we have been very successful in Argentina and over the past two years have received orders for more than 600 MW. We are convinced that the market has enormous potential. The authorities have done great work by launching the RenovAR and MATER programmes in order to create the preconditions for this growth market. Today there are several GW under construction. Our local production plant here is a first step: in the coming years we plan to further localise the supply chain in order to meet national requirements. So this will mean even more jobs for the Argentinian industry," says José Luis Blanco, CEO of Nordex SE. Oscar Aguad, Minister of Defense of Argentina, remarked “We wanted to develop a strategic and sustainable FAdeA and in order to achieve this goal we had to generate new businesses in the aeronautical industry as well as in industries with similar technological characteristics, highly demanding and with potential for development, such as wind energy.” then he added “This, together with recently signed agreements with leading international companies in the commercial and military aviation industry, brings us closer to our objective for 2023, FAdeA´s revenues should come 50% from the State and 50% from Third Parties”. He finally concluded “the industrial & metallurgical sector must take good note of the value they can bring to this growing commercial development”. FAdeA is a listed company run by the Argentine Ministry of Defense with more than 90 years of history in the aeronautical industry. Now, following a new strategic vision, the company has developed and introduced new international business associated with military and commercial industry, to which we now add sustainable energy in order to widen its activities.